Do you know a teenager that would like to learn more about taking great pictures? Many young people really have an eye for being artistic with photography and would enjoy taking photography classes geared towards teens. 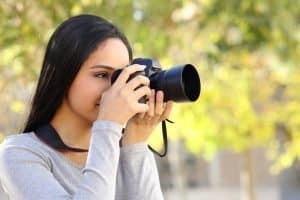 If this is something that you think would be beneficial to a special teen in your life, continue reading to learn what you should look for as you find the best photography classes for teens. First of all, you want to find a class that your teen will find relevant. This will depend on their interests, abilities, and photography equipment. If your teen enjoys taking pictures of any and every thing, you don’t really need to worry about the focus of the class, but if they only enjoy taking pictures of animals, make sure that you find a class that will help with this. Also, it is important that the class isn’t too easy or too hard for your teen. This will depend on your teen’s skill level. Are they brand new at taking pictures or have they been doing so for quite some time. And then you want to make sure the class geared towards the gear your teen has or will soon acquire. If not, it will not be very beneficial to them. Another thing that you want to look for in a teenage photography class is the learning time. There are a couple of things involved here. First, you want to make sure that the times the class meets is good for the teen. Keep in mind school and work hours, as well as necessary downtime and social hours of the teen. Also, you want to make sure the class lasts an appropriate amount of time. For instance, if your teen can’t focus very long, most teens can’t, an all day class may not be the best choice. Then, you want to consider how much hands-on the photography class will have. Most of us learn by doing and that is the same for teens who want to learn how to take amazing pictures. A class that offers a lot of time taking pictures and analyzing them is a smart choice for your teen. This allows them to practice taking pictures, analyze their shots, and then make any necessary tweaks. You also want to keep in mind the other students. Depending on your teen and how they best learn, they may feel more comfortable in a class with only teens learning how to take better pictures. Or, they may not care who is in the class. For this reason, make sure that you consider your teen’s learning style and their personality to help you best choose the class that will benefit them the most. In conclusion, finding photography classes for teens is a worthwhile venture and will help your teen improve their picture taking skills. Use the tips that are shared here to help you find the best class for that special teen in your life.